Ocean Lakes- Lake View - Wi-Fi Summer 2018 Weeks Available Great Location! Make yourself at home at our beautifully decorated, beach house in the private resort of Ocean Lakes in Myrtle Beach, SC, just steps away from the Atlantic Ocean. This Non-Smoking, three bedroom home sleeps eight having three bedrooms with queen beds, and a futon in one bedroom. There are two full baths. Sorry, no pets are allowed in this unit. We do have a pet friendly unit next to this one. Please see our other listings if you wish to bring a pet. * Ground-level parking for up to three cars. * Gas grill and picnic tables. * Three lounge swings and a children's swing. 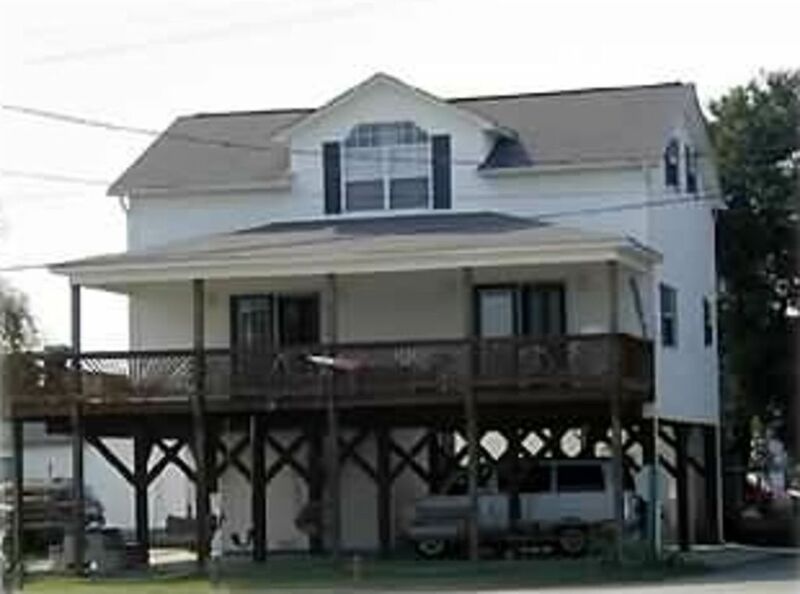 * Second-level deck with many chairs for lounging or sunbathing. * Fully-equipped kitchen with microwave, dishwasher, and many utensils. * Convenient to many fabulous restaurants. This house was purchased for our own personal use with limited rentals. House has never been rented through agency. Great location on Sand Dollar Lake. You can sit on the covered deck or the swings underneath the house. View the July 4th parade which goes right in front of the house. Renter responsible for laundering before departing. Secure network. We cannot guarantee service at all times. Great location! Pretty view of the pond. We stayed for a week with 6 people and a toddler and this house fit our needs well. It Was not as clean as I would have liked (dust under the beds, couch, and dead bugs on the window seal). They have an option to clean on your own to avoid a fee. I’ll chalk the uncleanliness up to the previous tenants. The property manger was very prompt and addressed any concerns I had. Our family of 6 had a great time staying here. It was close to the beach and a short cart ride to everything else. The only negative for me was that it was difficult to get our sequoia under the house to park. The turning space on both sides was very tight. Most of these houses are like that or even worse though or have no parking at all. My husband and I stayed at 1055 for our anniversary for the past 2 years, we LOVE it!! Its very clean and has all the amenities that we need!! Great for families, girl trips or really any trip! Just steps away from the beach!! Also the owner is very nice and responds to your needs quickly!! 5 star Stay! Will be back year after year!! Just returned from a great stay at Ocean Lakes, always enjoy staying here. Everything you need is right inside. This house was great, location is easy walking distance to the beach (or golf cart ride if you prefer). the outside sitting areas for this house are the best we have stayed in. The swings underneath and the table and chairs on the deck make for a great experience. Would definitely recommend. Also owners were very easy to work with. Rates are subject to change until confirmed. All weekly rentals include linens and departure cleaning. For less than a week rental, optional cleaning/linen fee of $125 will apply. Week of June 30th-July 7th + $100. Winter monthly rate is for 3 month minimum.